Cliff was born in Rutland, Vermont and lived there until he attended Champlain College. After three years he transferred to the University of Vermont and received a B.A. degree in 1954. He then attended the University of Maryland and, in 1958, received a Ph.D. in Zoology and Biochemistry. For the next two years, he worked for the Army on a project concerning the tick of the Belgian Congo. In 1960 he joined the Public Health Service at the Rocky Mountain Laboratory. His work there was mainly working with ticks and tick-borne diseases. He was an author on over 150 articles on this work published in scientific journals. During his time at the lab, Cliff invested heavily in real estate and obtained a Real Estate License in 1969. When he retired from the lab in 1984 he used this experience to go into real estate full time. Until 1993 Cliff was involved in four different real estate offices. From 1993 – 2017 he owned and operated Lone Pine Realty in Hamilton. Recently, he closed this office and became affiliated with Bobbi J. Lockhart at PureWest Christie’s International Real Estate. During the 48 years, Cliff has been a Realtor he has worked in all aspects of the profession. This has included: Planning subdivisions and division of land; building homes for resale; and selling Commercial, Residential Property, Recreation Parcels, Ranches, and Bare Land. Cliff belongs to the National, State and Bitterroot Associations of Real Estate, as well as the Multiple Listing Organizations pertinent to western Montana. 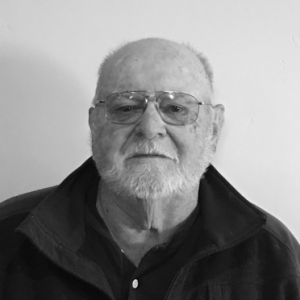 Over the years Cliff has developed a vast knowledge of all aspects of real estate as it pertains to the Bitterroot Valley. This includes such things as water rights, zoning, and availability of well water. Why not allow him to put his extensive knowledge of western Montana to work in helping you find the perfect property?